I tried a few mountain bikes at Walmart that were already put together at the store but neither was as comfortable and with more upgrades as this \"Mongoose Blackcomb inch I did have to order it online and put it together, but everything went to plan on shipment, which was received with no damage and it was real easy to put together (E.g. Handlebars, Front rim and seat post). It looks and feels real nice = 5 Stars! 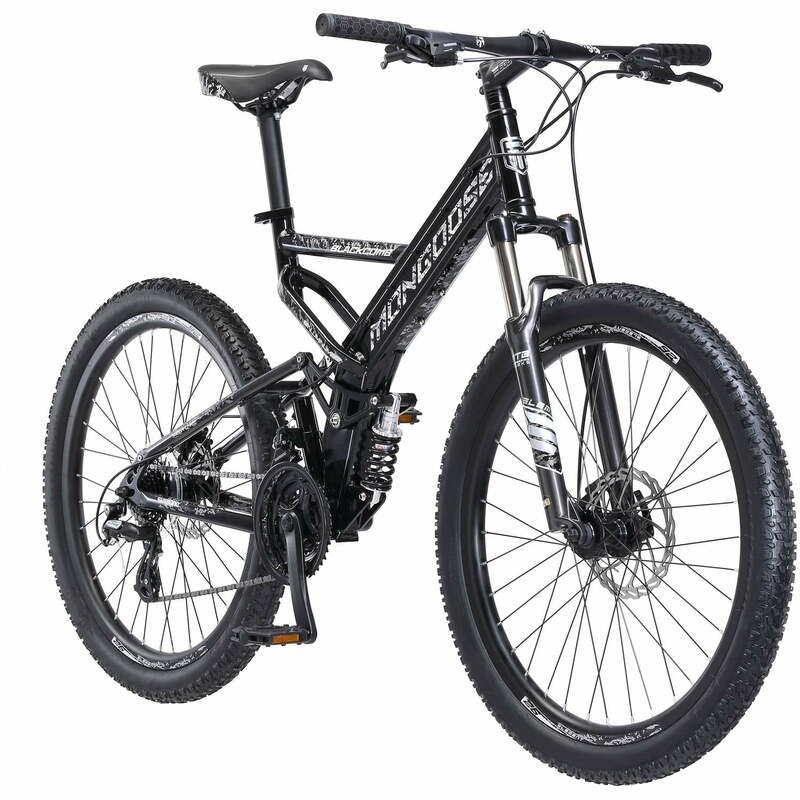 Tbook.com crawls the web to find the best prices and availability on Mountain Bikes and related Toys products like 26" Mongoose Blackcomb Men's Mountain Bike, Black. For this page, related items include products we find that match the following keywords: "Mountain Bike" at our vendor partner Walmart. 26" Mongoose Blackcomb Men's Mountain Bike, Black is one of 15 Mountain Bikes and related products listed in the Toys section of Tbook.com If you have any questions on this product, please give us a call at 734-971-1210 during the hours of 9am - 5pm EST for assistance. Thank you for shopping at Tbook.com, the Internet Department Store!